Fundraiser for Natasha Scott by Mark Barwell : Support Hastings Pride! Hastings Pride is back for 2018, a celebration of LGBT+ people and our history as well as the chance to raise further awareness of the support and challenges that many of us still face. With a programme of events throughout the week and culminating in a free-to-attend community event that includes a parade through the town and a festival featuring entertainment, activities, information stalls and much more, Pride is a chance for everyone to come together and share in a day of positivity and progression. Hastings Pride is a CIC (Community Interest Company) so all of the money that we make ensures that the event takes place. We are funded through donations, sponsorships and advertising but we also need the support of individuals and groups so please give what you can and help us to provide an event that will continue to embrace the spirit of community and collaboration. Last year's event was attended by several thousand people and the response from the local region and Pride-related groups all around the UK was amazing! This year we're aiming for the stars with a theme of "no discrimination, no alienation". 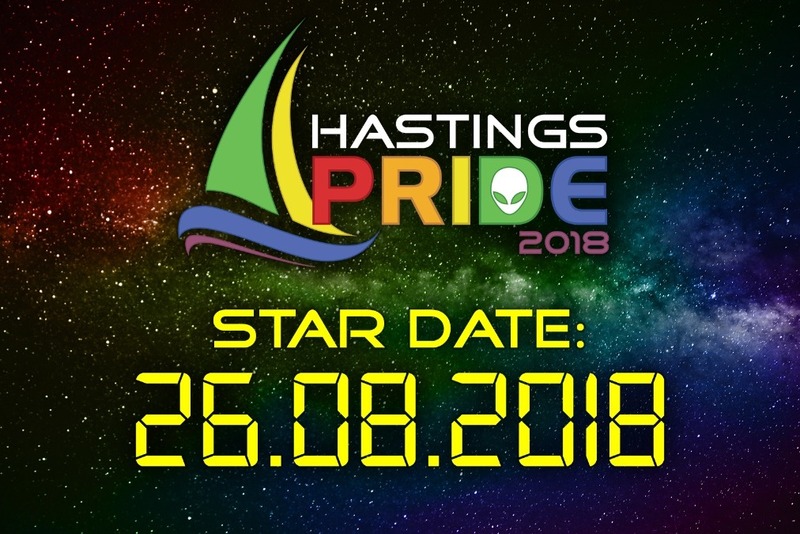 If you believe that no one should be discriminated against for being who they are and loving who they love, then join our family and let's help to make that happen :) Hastings Pride is on Sunday 26th August 2018 with a preceding week of events. For more details, visit www.hastingspride.org.uk or find us on Facebook. Thank you so much! - Mark Barwell (Director of Marketing and Design, Hastings Pride).